In the province of Ontario, an individual must be at least 18 years old to marry. An individual between the ages of 16 and 18 wishing to get married requires the written permission of a parent/guardian; anyone younger cannot be legally married. An individual can only be married to one person at a time; it is illegal to have more than one spouse in Canada (this is called “polygamy”). In cases where the person wishing to marry was previously married to someone else, there must be a legal divorce from the first spouse, which must be proven. In cases where that first marriage took place outside of Canada, there must be a divorce that was considered legal in that other county. In such instances, Ontario will accept the divorce as valid if either the applicant or respondent have lived in that country for at least one year before applying for the divorce, or if the applicant can prove they have a real and substantial connection with the country. A certified copy of the divorce order is also required for a foreign attained divorce to be accepted. Additionally, Ontario requires that a letter be obtained from an Ontario lawyer stating that the divorce be recognized under Canadian Law, this can be obtained from the Balasunderam Law Office. Marriage in Canada is not permitted between people who are too closely related by blood or adoption. For example, you cannot marry your grandparent, parent, child, grandchild, sister or brother, half-brother or half-sister etc. Finally, whenever two people get married, both individuals must have a sound understanding of what it means to get married and must freely consent to the marriage; they cannot be forced into it, otherwise the marriage will not be legal. Statistics show that the institute of marriage doesn’t usually end with “until death do us part”. Divorce has become extremely common and in Canada is governed by the federal Divorce Act. Application for divorce in Canada is made in family court, and is filed either individually or by both parties collaboratively. An application can be made for an uncontested divorce or one that is also requesting the courts to determine what are known as “corollary issues”, i.e. issues relating to custody, support and division of assets. A divorce application must demonstrate that there has been a breakdown of the marriage. This can be established in one of three ways; the most common is a legal separation for at least one year prior to applying for a divorce. 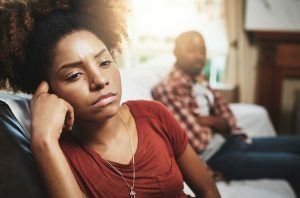 It should be noted that a couple does not have to be physically separated to qualify; as long as the couple has been leading separate lives and behaving as though they are not married, they are considered to be legally separated. It is also possible to obtain a divorce if one of the spouses has committed adultery. Lastly, a divorce can be obtained on the grounds that one spouse has been so physically or mentally cruel it is no longer possible for the relationship to continue. There are several requirements for each one of these grounds; a consultation at Balasunderam Law Office will provide for further detail and legal advice.